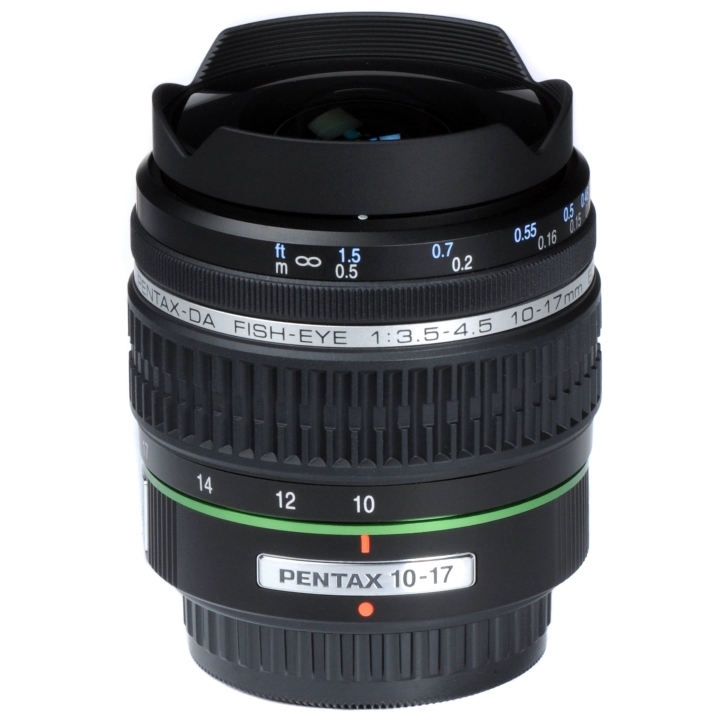 Mounted on the PENTAX series of digital SLRs, the DA Fish-Eye 10-17mm lens will capture fish-eye images with a 180 degree angle of view and focal length of 10mm for super wide-angle performance. Capture images with an expanded perspective including creative distortion of subjects and sharp focus that extends throughout the entire frame. 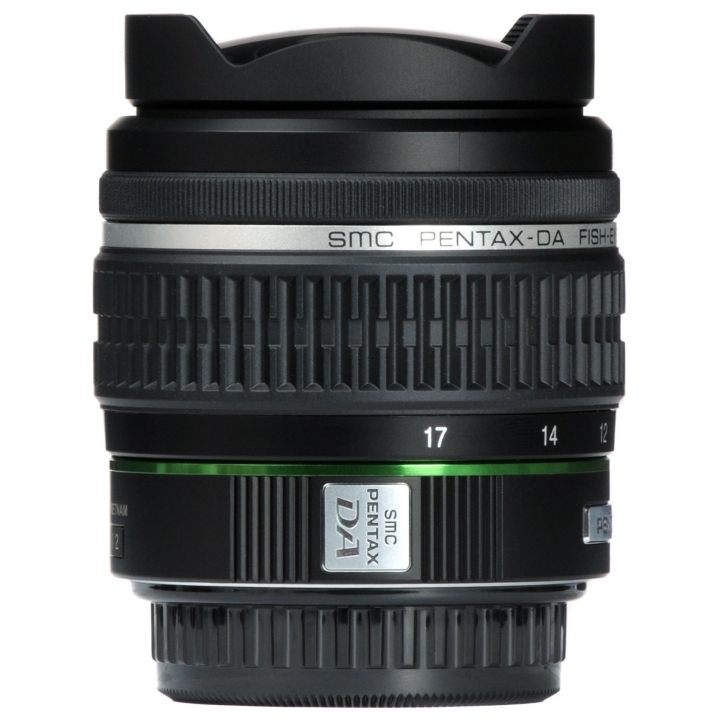 The image circle in DA-series lenses is designed to perfectly match the 23.5mm x 15.7mm sensor size used in PENTAX digital SLRs to optimize camera performance. The design also contributes to a drastic reduction in size, weight and production cost, compared to 35mm-format counterparts with similar specifications. The fish-eye lens delivers a unique perspective where the center of the screen is enlarged and the outer edges are curved. It also provides a wide angle of view up to 180 degrees. Its features make it the choice for photographers who wish to create distinctive works of art. Macro photography from a distance of about 2.5 cm from the lens is possible for emphasizing a sense of perspective and deformation effects. The key point in framing artistic shots is to utilize the characteristic that the straight line passing through the center of the screen is not distorted. An angle of view of 180° (at focal length of 10 mm) is a world far beyond the human senses. 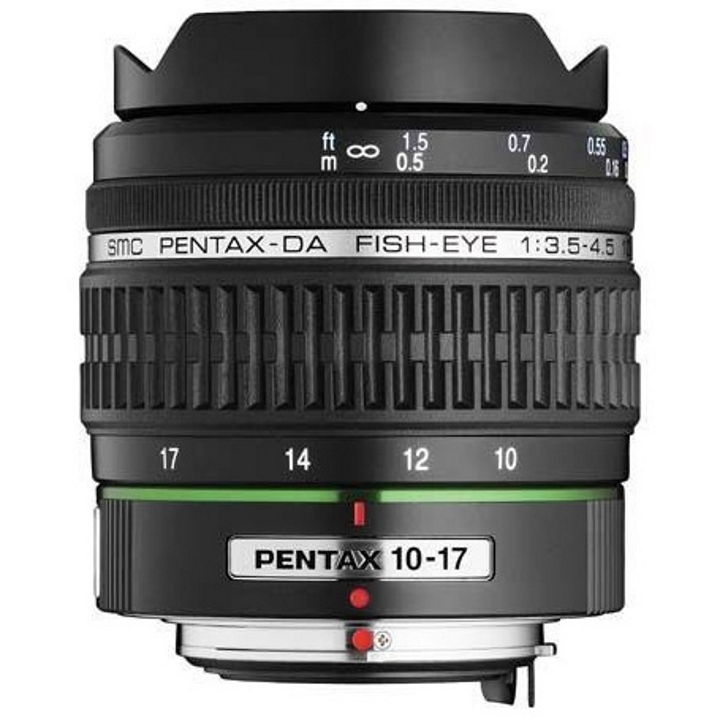 This lens opens up an expansive world with a heightened sense of perspective and pan-focus effect. Another feature of this lens is that the fish-eye effect can be controlled by the zoom. Extra-low Dispersion (ED) glass is used for providing superior correction for chromatic aberration which reduces imaging performance. This enables high-quality imaging performance without blurring of colors at the edges. Combined with the inner focus system, this enables the lens to provide high image quality in a compact, lightweight design. 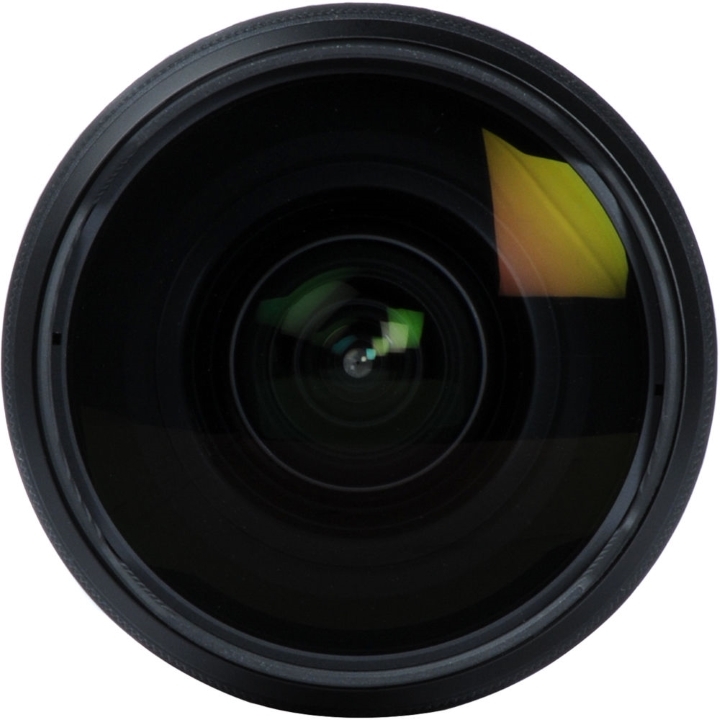 Designed for compatibility with CCDs having an image circle of 23.5mm×15.7mm. This is a simple lens design without an aperture ring. After focusing by AF, turning the focus ring immediately switches to MF. This eliminates the AF/MF switching operation for enabling smooth operation. 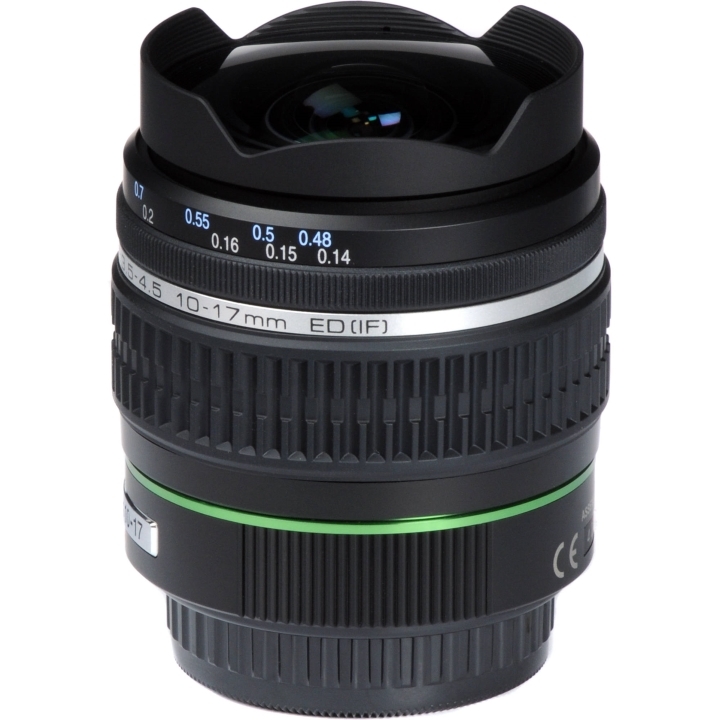 The lens front surface uses a special coating for repelling water and oils. This prevents dirt and dust from adhering to the lens for providing effective protection of the lens surface.